Are you ready to check your day trading ability and put all that education to the test? This new day trading video is about to help you find out if you have what it takes to trade the Bollinger bands Squeeze Day Trading Strategy that Philip put together for you to start building your own day trading strategy! The Day Trading strategy video lessons were so well received by our trading community that we decided that we needed to go a step further to help you in your development! Philip and I are extremely busy people so speaking individually to the 1000's of people that visit the site would be impossible so we had a concept that we developed that could test your skills in using the Bollinger bands day trading lesson interactively that everybody could try. We believe screen time is vitally important in the development of becoming a successful day trader. Seeing price bars being printed, lines being traced and identifying chart patterns is a huge part of your stock market education. 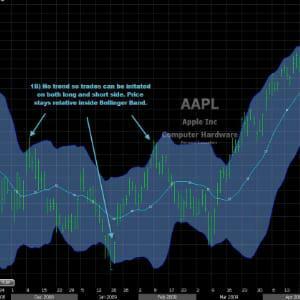 Our interactive Day trading lesson will help you start to identify the correct setupÂ based on the rules we gave you in our Bollinger bands squeeze lesson and prepare you for trying to trade these setups on a simulator until you're ready. This really is the second stage in the development of learning rule based trading. We hope you enjoy what we have done as much as we have enjoyed putting it together for you. Please leave any questions or comments in the comment section below and don't forget to sign up so you don't miss out on future updates.